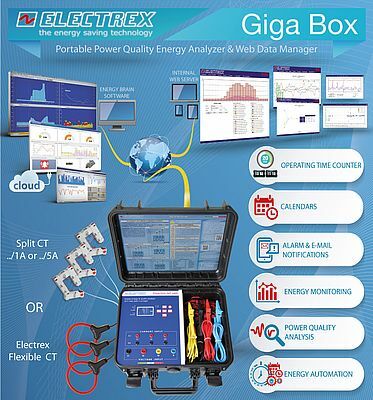 Electrex has the pleasure of introducing an all-in-one Power Quality Energy Auditing Kit. There are many local businesses that provide energy savings solutions to the industrial, commercial and residential sectors. However, the lack of appropriate monitoring and data logging devices needed for pre and post auditing is a common problem. Devices that do exist are either insufficient in features or overpriced for their respective sector. This is why Electrex has taken it upon themselves to integrate their top Power Quality Energy Metering devices into a portable all-in-on monitoring kit. This kit is perfectly suited for temporary logging and auditing, highly accurate and with a great build quality and finish.